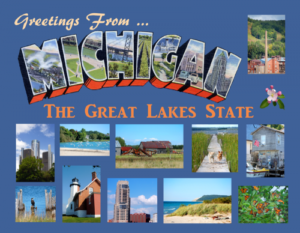 It’s not quite the California 2.0, but tribal gaming concerns are again serving as an impediment to online gambling and online poker legalization efforts, this time in the US’s midwestern state of Michigan. The Wolverine State, as it’s nicknamed, is among the dozen or so short-list states in the United States where online gambling legislation has been given a decent chance at near-term passage by industry observers (not necessarily including this writer). Like California, however, Michigan’s gambling industry is dominated by powerful tribal-gaming concerns, which pose a possible repeat of the gridlock that has doomed more than a decade of Californian efforts on the topic. What’s the problem in Michigan? It depends on who one asks, but the general consensus is that it’s a “poison pill” that’s been inserted into the leading candidate legislation offered by one of the state’s most pro online-poker and pro-gambling legislators, MI Rep. Brandt Iden. Iden has sponsored online-gaming bills in the past, and his current effort, H 4926, would authorize both online gambling (including poker) and sports betting in Michigan. Sec. 16. (1) If a court enters a final judgment or order that has the effect of invalidating or otherwise rendering inoperative section 6(1), or otherwise nullifies the ability of a person that holds a casino license under the Michigan gaming control and revenue act, 1996 IL 1, MCL 432.201 to 432.226, to offer internet gaming under this act, this entire act is inoperable and of no effect. (2) If a court holds that a provision of this act, or the application of a provision of this act to any person or circumstance, is invalid or inoperative other than as provided in subsection (1), the validity of the remainder of this act and the application of the remainder of this act to other persons and circumstances are not affected, as provided in section 5 of 1846 RS 14 1, MCL 8.5. Enacting section 2. This act does not take effect unless House Bill No. 4927 of the 99th Legislature is enacted into law. Now here’s the thing: Rep. Iden inserted the language into the bill at the behest of three large tribal casinos serving the metro Detroit area, and the intent of the language is to unring the bell: In the event the federal government tells the tribes at some point that they cannot offer thier online services off-reservation — and this is a very legitimate concern that the hardline trial casinos (Pechanga and friends) tried to strong-arm into the California debate — then any such online-gambling or sports-betting activity in Michigan would come to a screeching halt. And that means for everyone, not just the Michigan tribes. As Rep. Iden told OPR, “What tribes want is that if the federal government says they are not allowed, the commercial casinos cease from online gaming as well,” Iden said. However, Iden also told OPR that he doesn’t think the poison pill has much chance at coming into play, and that he “doesn’t have much authority over the matter.” As Iden added, “The reality of it is, there isn’t a lot I can put in there to ease that concern,” regarding the Michigan tribes being shut out by some unforeseen change in federal tribal-gaming laws. This, though, is a bit disingenuous. The only way such language can even be considered is as an all-or-nothing deal, dependent on some later federal action, but in reality, the poison pill shouldn’t be present in a state-level bill. Iden is correct that he couldn’t modify the section’s language, but that’s not to say the language couldn’t be pulled in its entirety, something that might just be out there on the fringe of consideration for other state legislators. Michigan might get there… regarding online gambling. Yet there’s also a fair chance that the state will sit on the sidelines for several more years as other US states pass it by. It’ll be worth the watch either way.